1. For a unique horse riding experience, call Rainbow Beach Horse Rides. The team cater for all levels of riding ability and take photos on every ride, available free to take home. Note, a weight limit of 95kg and an age limit of 10 years and over applies. For those under 10, the team can arrange private or led rides. 2. Wednesday July 11, visit Tin Can Bay or Rainbow Beach Library to create a unique, handmade paper lantern. The lanterns are made out of bamboo and grease-proof paper and are designed to light up your home garden. Tin Can Bay Library, 10.30 to 11.30am and Rainbow Beach Library, 2.30 to 3.30pm. This is a free event and suitable for ages 6 to 17 years. 3. Bring the Wild Home at Tin Can Bay and Rainbow Beach Library. Your kids can create a DIY recycled tin can planter. Bring a tin can to life and green up your backyard with bee-attracting seedlings. Everything is supplied by the library. Free event suitable for ages 6 to 17 years, Wednesday July 4. Tin Can Bay Library 10.30am to 11.30am and Rainbow Beach Library, 2.30pm to 3.30pm. 4. Cooloola Coast Youth Activity Project are hosting games galore on the 3rd, a workshop to create junior masterpieces (U16) for the annual art show (entry fee included) on the 5th, table tennis at Rainbow Beach Hall on the 10th and on the 12th come to a Family Fun Day, from 10am to 1pm at Billabong Park, Cooloola Cove. Come grab a snag from the YAP team as you enjoy the morning of free fun provided by Gympie Regional Council: free jumping castle, face painting and First 5 Forever storytelling. There will be giant yard games, including jenga, checkers and circus fun. Children under 12 must be supervised by an adult. All activities are free to attend. Contact: cooloolacoastyap@gmail.com or 0411 218 254. 5. Epic Ocean Adventures offer a range of awesome tours for the whole family, including dolphin view kayaking, surf lessons, stand-up paddle board hire and lessons, turtle view kayaking, kitesurfing – you might even see a whale on migration! 6. Head into Gympie for the day and pan for GOLD! The Gympie Mining and Historical Museum is open across the school holidays. Learn to pan for gold, watch blacksmithing demonstrations, for the little ones, enjoy a miniature train ride. The museum also has an onsite cafe, offering Devonshire tea and lunch. Entry fees do apply. www.gympiegoldmuseum.com or call 5482 3995. 8. Kids Club at the Rainbow Beach Aquatic Centre runs every Monday and Tuesday afternoon between 3pm and 5pm. Drop the kids off for two hours of fun in the heated pool. Fully qualified lifeguards will teach your kids water safety skills and basic first aid, all whilst playing games and having a ball! Cost is just $5 per child. For more information, call BJ on 5486 3191 (press 3). 9. Feed wild dolphins every morning between 7am and 8am at Barnacles Dolphin Centre Tin Can Bay. 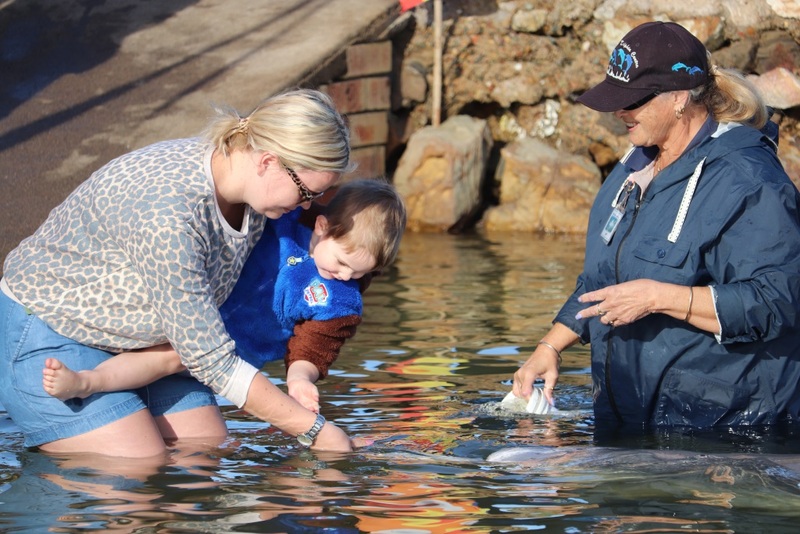 Join volunteers in the water and get to know these beautiful animals up-close! Breakfast is also available at the adjoining cafe. Entry fees apply. 10. 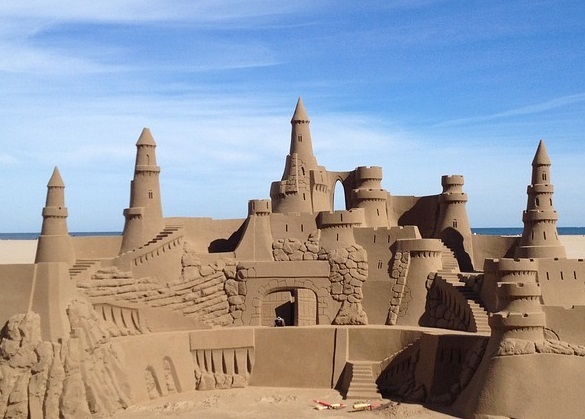 Build a sensational sandcastle. Take the buckets and spades and head to the beach. Digging, patting and sculpting is fun, bring some containers from home to help craft interesting shapes and look for seashells for decoration.